Kathmandu: K.P. 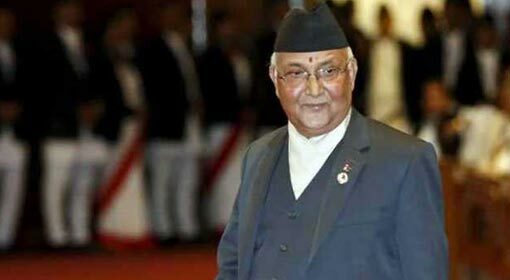 Sharma Oli has taken over as the 41st Prime Minister of Nepal. Increase in the challenges for India is apparent as Oli is known for his pro-Chinese policies. The Nepalese media are trying to clarify his policies by suggestively saying that he will adopt balanced foreign policies to maintain balance between India and China. K.P. Oli’s Communist Party of Nepal (Unified Marxist-Leninist), got a thumping majority in the elections held two months ago. 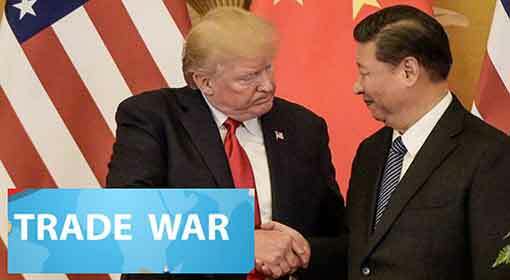 Washington/Beijing: There are indications of a trade war flaring up between US and China, the leading world financial powers. After taxing the agricultural imports from the US, China has now announced levying of tax on the chemical ‘Styrene’ being imported from the US. At the same time, President Trump has criticised the Steel and Aluminium being exported by China to the US and warned of new restrictions. The Chinese Commerce Ministry in its press release, has said that the US is dumping the chemical ‘Styrene Monomer’ in China. Munich: The opposition to the ambitious ‘One Belt, One Road’ (OBOR) initiative of the Chinese President, Xi Jinping is on the rise in Europe. 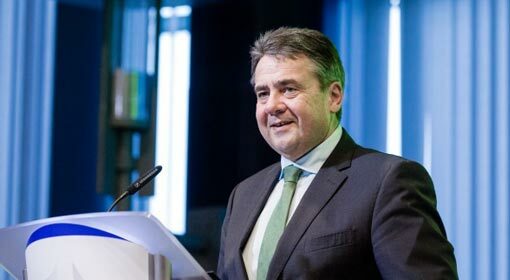 While criticising China’s ambitious plan at an international conference in Germany, the European leaders said that it was a conflict between the Chinese dictatorial and democratic values. Along with Europe, the US also has criticised this ambitious plan and senior army officers have warned that inclusion of the Latin American countries in the plan is a threat to US security. 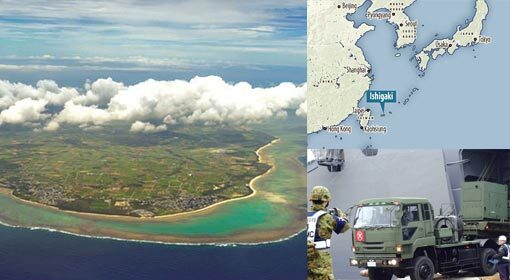 Tokyo: Japanese government has begun the establishment of a fully equipped army base in the ‘East China Sea’, which lies between China and Japan on the ‘Ishigaki Island’ near the disputed Senkaku group of islands. Anti-missile systems, anti-aircraft and anti-warship missiles, radar systems and army units will be deployed at the base. 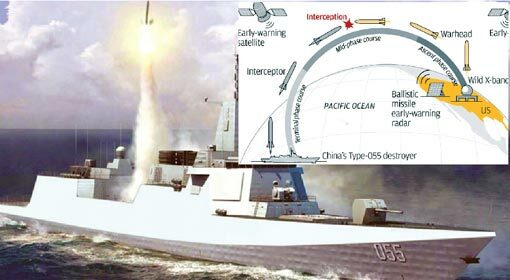 The media informed that this plan is being executed keeping in view the threat to the Ishigaki Island, if a conflict sparks off on the Senkaku Islands issue between Japan and China. New Delhi: It is reported that India’s National Security Advisor Ajit Doval, Foreign Secretary Vijay Gokhale and Indian Army Chief Bipin Rawat visited Bhutan. The India-Bhutan relations have gained importance in view of the tension created between India and China over the Doklam issue. 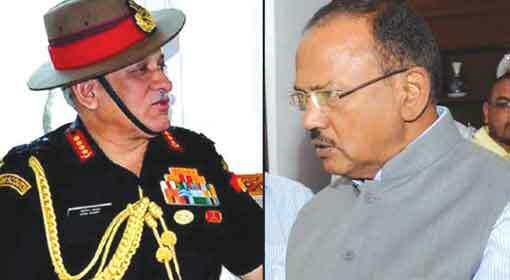 Therefore, the visit by the National Security Advisor, Foreign Secretary and Army chief is being looked upon seriously. Last year the Chinese soldiers had infiltrated the Bhutan border and had started construction activity in the Doklam region. 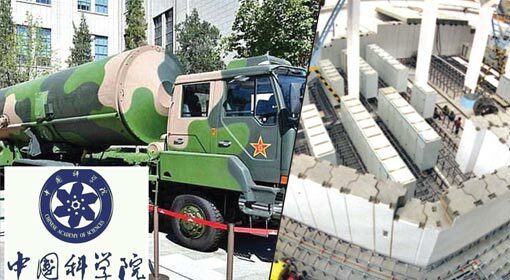 Beijing: China has started preparations to manufacture the ‘salted’ nuclear bombs, more destructive than the atom bomb. The international scientists have made this claim after China successfully tested the radioactive isotope of ‘tantalum’ last week. The international nuclear scientists are claiming that an attack with this ‘salted’ nuclear bomb can leave a large expanse of land inhabitable for humans for a number of decades. The Chinese R&D centre, ‘Chinese Academy of Sciences’ conducted a test in its ‘Lanzhou’ University, a research centre in the Gansu province. Washington: ‘We will never allow the Chinese to succeed in their efforts to expel the United States from Asia. 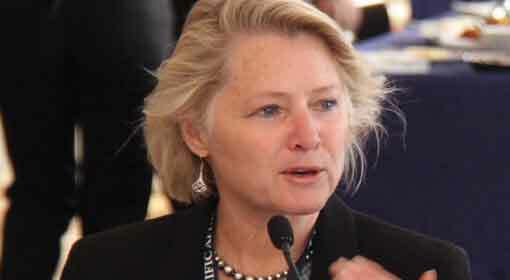 At the same time, we will not allow China to dominate the Asian countries,’ warned Senior US official, Susan Thornton. Issuing this warning while briefing the policy to the ‘Senate Foreign Relations Committee’, she also clarified that the United States wants a positive relationship with China. ‘If the international system where China has risen and its influence growing is to continue, then China must observe its rules and standards. 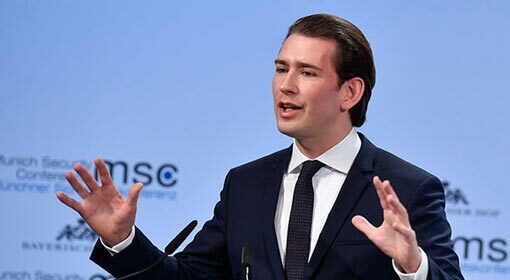 Munich : Austrian Chancellor, Sebastian Kurz, indicated the changes in the international systems saying, ‘The power centre at the international level is shifting. The United States is still a super power but it seem to be withdrawing from the international politics. China is trying to fill up this political vacuum.’ At the same time, he added that the migrant problem being the biggest obstacle of Europe is weakening it. 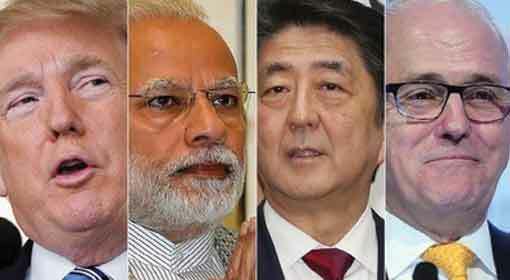 Sydney: India, the United States, Japan and Australia have prepared to reply to the ambitious Chinese project ‘One Belt One Road’ (OBOR). A senior Australian official has attracted media attention disclosing this information. Over the past few days, the United States and the European countries have started criticising the Chinese OBOR project openly and the allegation that it is a part of the Chinese policy for colonialism has started surfacing. On this background, the information provided by the Australian official assumes significance. Beijing: China has increased its air defence capacity along its west border under the pretext of an alleged ‘threat from India’. 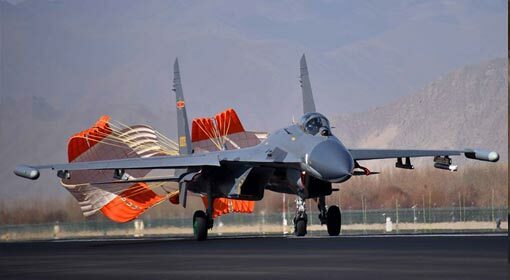 The Chinese government media have informed that the ‘J-10’ and ‘J-11’ fighter jets are deployed in the region and have also released the photographs of the jets. Along with this, the Chinese defence experts seem to have started mentioning a ‘threat from India’ openly. Just as this report was being published, a fleet of Chinese destroyers had been deployed in the Indian Ocean. 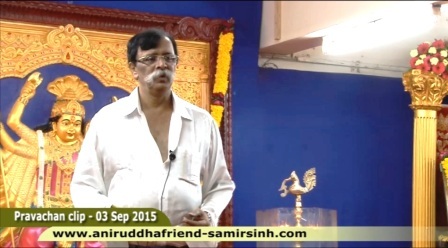 Therefore, China seems to have made aggressive preparations to pressurise India. 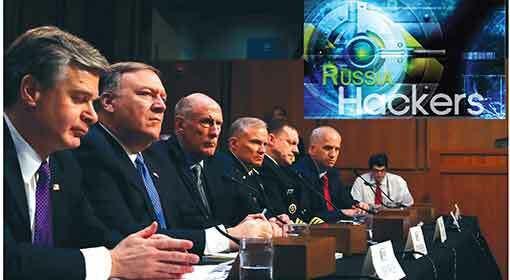 Washington: The US cyber security is under threat and it is being continuously attacked and these cyber-attacks is the biggest danger in 2018 warned the US Intelligence agency Chiefs. There was a special hearing of the heads of the six major intelligence agencies in front of the Senate Intelligence Committee. In this hearing the heads of the Intelligence agencies prominently mentioned the cyber-attacks and said that Russia, China and Iran are the main countries carrying out these attacks. Washington / Guam: The United States has indicated increased military deployment, in view of, the aggressive Chinese movements in the ‘South China Sea’, possible attempts for deployment in the Pacific region and increasing interference in the Indian Ocean region. The ‘Wall Street Journal’ daily claimed that the US Defence department has informed about the deployment of ‘Marine Corps’ in East Asia, soon. 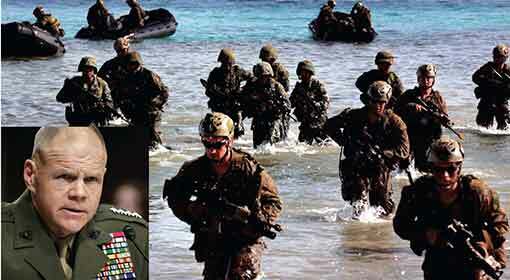 ‘Marine Corps’ is known as the most equipped, aggressive and advanced military unit in the United States. China is becoming increasingly belligerent , economically and militarily. OBOR is just another name for colonisation. Also recent decision to make President Xi tenure as life term possess dangers of totalitarian regimes.